What of punctuation marks themselves? There is a very definite scale of complexity when it comes to punctuation, ranging from ostentatious symbols such as the manicule (☞) and asterism (⁂) all the way down to the humble comma (,) and apostrophe (’). Sitting at the bottom of the scale, the full stop (.) is surely simplest of all, and yet it is possible to step beyond even its mathematical irreducibility. The most minimal mark of punctuation is not a mark at all: it is the space between words. Punctuation itself – literally, the act of adding “points” to a text – did not arrive until the third century BC, when Aristophanes of the great Library at Alexandria described a series of middle (·), low (.) and high points (˙) denoting short, medium and long pauses.4 Over the centuries, this system gave rise to punctuation as we know it: from Aristophanes’ three dots came the colon, the full stop, and many other marks besides. At the same time the paragraphos evolved into the “pilcrow”, a C-shaped mark (¶) placed at the start of each new section in a text.7 The word space was a late arrival, appearing only when monks in medieval England and Ireland began splitting apart unfamiliar Latin texts to make them easier to read. In the end, even a simple word space, paragraph or full stop carries the weight of centuries of tradition and evolution. Like Hemingway, we may prefer to leave out colons, semicolons and dashes, but as long as we do our readers the favour of spacing words, finishing sentences and breaking paragraphs, there can be no such thing as minimal punctuation. 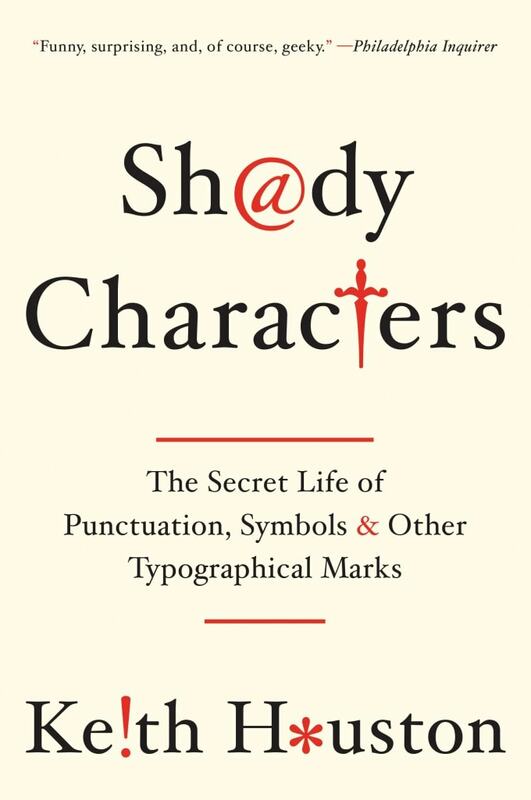 If you enjoyed this article, why not read about the history of punctuation in more detail, or pre-order the Shady Characters book? 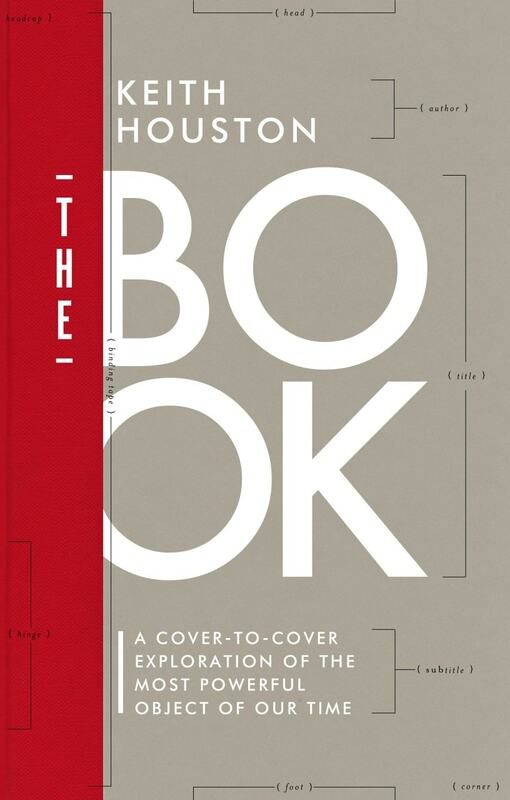 The Shady Characters book, revealed! …hope you enjoy reading this… Well, I did. Thanks. I have never heard of an asterism. Bravo. I would have used an exclamation point, but I can’t stand em. The unintended exclamation point is an invidious creature. Thanks for the comment! Beautifully concise. I do enjoy your Shady Characters site. It was quite a challenge to keep it that concise, I can tell you. I’m glad you like the site, and thanks for the comment! Of course the Greeks had a word for it. Now I’m going to discover this Shady Characters site. Thanks. Really interesting read. Thank you. Hi Hugo — glad you enjoyed it. Thanks for the comment! Most interesting. I often use an ellipsis (never knew it was called that)… it saves time when updating Twitter. From élleipsis, no less. There’s quite a bit more on this practise of omitting characters or words in the Shady Characters book! Also worth noting: the use of “small” or non-capital letters. I gather this innovation too came into being with spaces between words, at the court of Charlemagne around 800 AD. Spurring a new form of behavior: silent reading. Previously, one read a document aloud while reading to make sense of the run-on text. It’s recorded that Julius Ceasar was regarded with awe in his time for being able to read silently. Absolutely! Carolingian minuscules, and the Renaissance roman letterforms that were based on them, are an integral part of the development of writing in the West. I wrote a little about minuscules in The Pilcrow, part 2, and there’s a little more again on the subject in the book. Also, it’s interesting to hear that Julius Caesar could read silently — though I read a little about that (and mentioned silent reading vs. reading aloud in The Pilcrow, part 1), I didn’t dig into it too deeply. Something to revisit in the future. This is not only interesting but also a lovely piece of writing. I’m going to the Shady Characters site too. Thanks! I’m glad you enjoyed it, and I hope you like the rest of the site. Also known as the exclamation mark? Thanks for the comment! I knew the Ancient Greeks wrote as an ox plows, but it never occurred to me until now that perhaps my students are reincarnations of Ancient Greeks since they use very little punctuation and can write run-sentences till the cows come home! Probably best that you don’t let slip that particular palaeographic tidbit, in that case! I can image “but the ancient Greeks did it that way,” becoming a popular refrain among your students. “Therefore the Aldus-Bembo edition of Petrarch’s ‘Canzoniere’, songs and sonnets, was called ‘Le cose italiane’ [‘The Italian Things’]. I hadn’t realised that Aldus explicitly credited Petrarch’s handwriting as the source for his italic type. I’ll have to take a look at that introductory letter. As for inventing the full stop, comma and apostrophe — hmm. The apostrophe was used by ancient Greeks, though the comma and full stop were much more recent inventions. I’ll have to take a look at Parkes to see what he says about it. Thanks for the comment — food for thought! And as many others have said: Thanks for your fascinating post! Oh, and I have placed a pre-order for your book, which looks a great deal more reader-friendly than that of Parkes! Ah, I see. Thanks for the clarifications! I read far too quickly for my own good. It’s a little surreal to see the Vatican of the 16th century getting involved in the copyright protection racket! I’ll have to look out all thoses references. Thanks again for the comment, and for pre-ordering! Brad Walrod has done a great job making Shady Characters eminently readable, and I hope you enjoy it. Very well done. You might appreciate this related blog post, http://www.yougotstyle.org/archives/000003.html#000003. Thanks! Glad you enjoyed the post. Also, thanks for the link — presenting the same text punctuated in two different ways seems to be a recurring theme when discussing punctuation. It feels like it needs a name! I enjoyed reading this article, which I found especially well laid out in my phone’s browser. That’s good to hear. Thanks! I didn’t style the site with mobile browsing in mind, especially, but sticking to simple, regular typography does seem to mean that it travels fairly well. Thank you for an interesting article. The pilcrow still exists, of course, in MS word when ‘show’ is chosen — a more elaborate pilcrow is displayed when the writer enters a new paragraph, just as it did in the old days. The midpoint dots which also appear are indispensible for writers and editors alike. Your programme does not permit the also indispensable em dash, (sigh). Hi William — glad you enjoyed it! I’ve written quite a lot more on the pilcrow in the past (part 1, part 2 & part 3), and, in fact, its appearance in MS Word was one of the things that first piqued my interest. The accompanying middots were an added bonus! Comments here should support the em dash — two hyphens typed together resolve into an en or em dash according to whether or not they touch adjacent characters. Glad you enjoyed the article! I can’t take credit for determining that The Old Man and the Sea contains only a single exclamation mark — the idea came from this article on Quartz that looked at the frequency of exclamation marks in different literary works. All I did was extend that by looking at the frequency of other marks. Hi Charles — Eats, Shoots & Leaves is certainly an entertaining book, but it is, by design, at least as much of an opinion piece as it is a history of punctuation. I’d contend that the Britannica article is a better place to start when looking specifically at punctuation history.